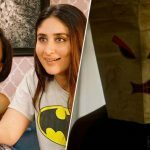 Despite being ‘A’ certified and having no lead hero, Veere Di Wedding has left everyone surprised with its double-digit opening at the domestic box office. Directed by Shashanka Ghosh, this female-buddy comedy movie has got succeed to hit the target right and getting superb response across the country as well as the globe. 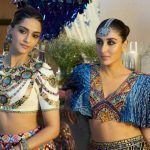 For its bold and unexpected story-line, Kareena Kapoor Khan, Sonam Kapoor Ahuja, Swara Bhaskar, and Shikha Talsania starrer has received mostly positive reviews from the critics as well as the audience. All four actresses have added good flavor to it with their solid performances. On the opening day, Veere Di Wedding took a very good start in the morning and also witnessed fair growth post noon shows in multiplexes. On an overall excellent note, it did the business of 10.70 crores on Friday and become the third highest opener of the year so far in Hindi Cinema. Then on Saturday, as expected the movie showed a healthy jump in footfalls due to positive word of mouth and minted the amount of 12.25 crores. With this, the total collection of Ekta Kapoor’s production after 2 days has become 22.95 crores nett from 2177 screens across India. 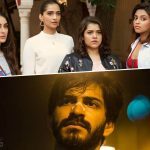 On the other hand, Harshvardhan Kapoor starrer crime action thriller Bhavesh Joshi Superhero has received mixed reviews from the critics and also struggling to divert enough audience toward the theaters due to clutter at the box office. On Friday, it opened on a low note and raked the business of only 0.30 crore which was way lower than Harshvardhan’s debut movie Mirzya (2.20 crores). On Saturday, with decent growth in footfalls, it bagged the amount of 0.35 crore and raised its 2 days total collection to 0.65 crores at the domestic box office.